Versatile athletics track & field awards trophy crafted in durable resin with a bronze and gold colour finish. 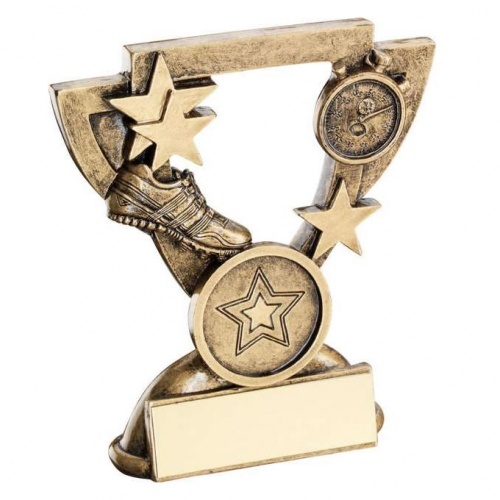 Features a shield style backdrop with running shoe, stopwatch and stars along with a 1in centre and metal engraving plate. Available in two sizes, offered with engraving options.